4 bedroom, 3 bathroom villa in the The Abbey at West Haven community. Owned by Katrina Barker and Margaret Poulter. Ref: 3524. Our Luxury 4 Bedroom 3 bathroom villa with private pool/spa located in the area of Champions Gate.The Abbey at West Haven is a small select gated community with only 58 executive homes, managed to a high standard. 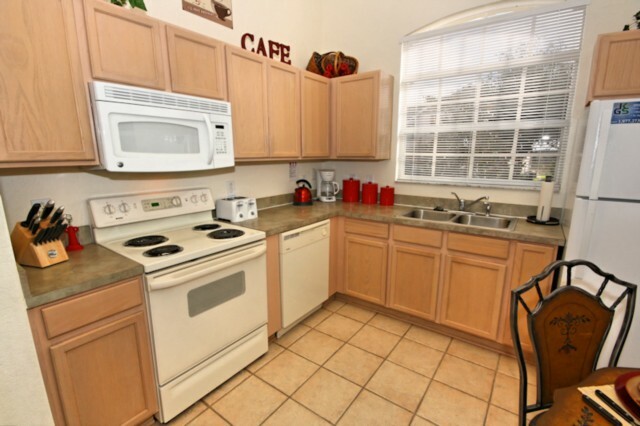 The surrounding area is Orange groves and a Wildlife Conservation area. For privacy reasons, the marker on the map shows the The Abbey at West Haven community location and not actual villa location. Our villa is family owned and is constantly being up-graded to keep it in a high standard of accommodation, with many extra's and features to make our guest's as comfortable as possible. We visit the villa twice a year to keep it in top condition and have to date added new TV's in lounge area and the two master bedrooms; a king size bed in the larger of the two master bedrooms; new carpets and curtain; granite work tops in the kitchen, etc. A very important factor when renting a home that it is Licenced for rental which our Villa is. Our villa has been upgraded to a high standard, with quality and comfortable furnishings. We have 4 bedrooms, 2 masters both with flat screen TVs, 32 inch in the king master a 26 inch in the queen master, both rooms have en-suite bath/shower rooms. 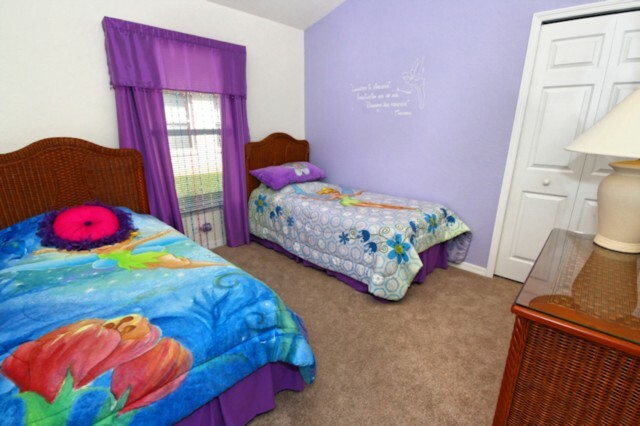 The main master bedroom has a large walk in shower, large bath tub, twin vanity units, and a walk in closet. 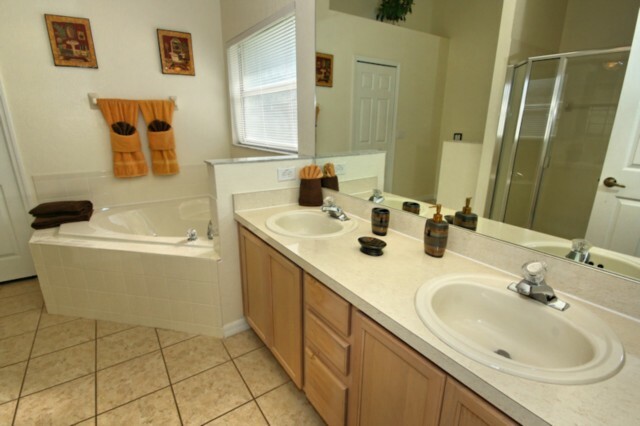 The second master bedroom has a walk in shower and a single vanity unit. 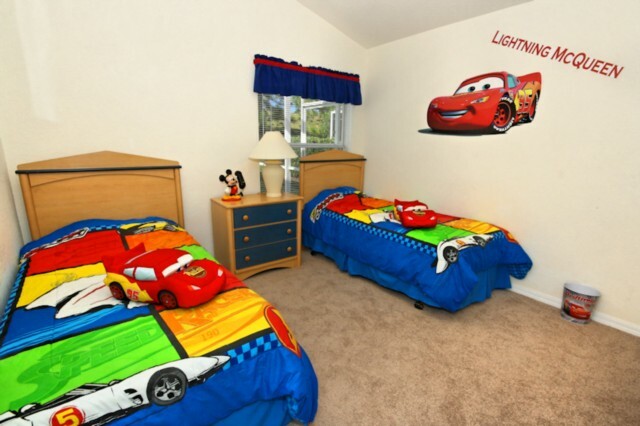 The 2 twin bedded rooms are themed, one Tinkerbell and the other Racing cars.There is a selection of Disney costumes for the younger guest's to dress up in. 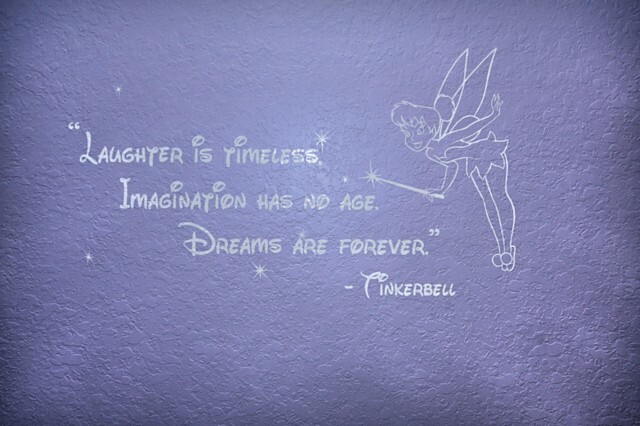 If children's rooms are not required we have a change of bedding catering for all tastes. 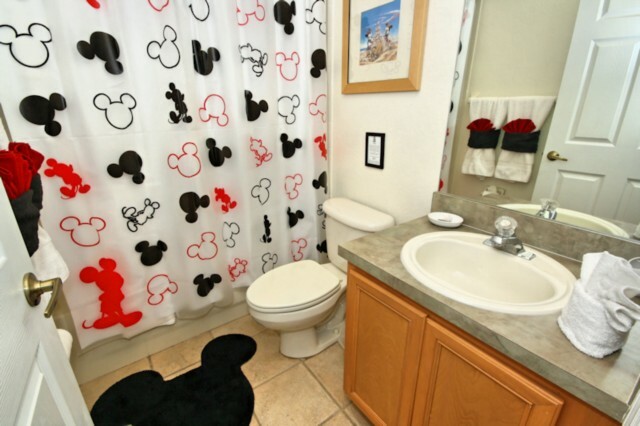 A third bathroom themed Mickey mouse, serves the twin bedrooms, it has a shower over bath and a single vanity unit. Our lounge has a high cathedral ceiling; there is plenty of comfortable seating, side and coffee tables, plus a large flat screen TV and Wi-Fi. The kitchen is fully equipped with quality utensils to make home catering easy, we even have a UK must an Electric kettle. 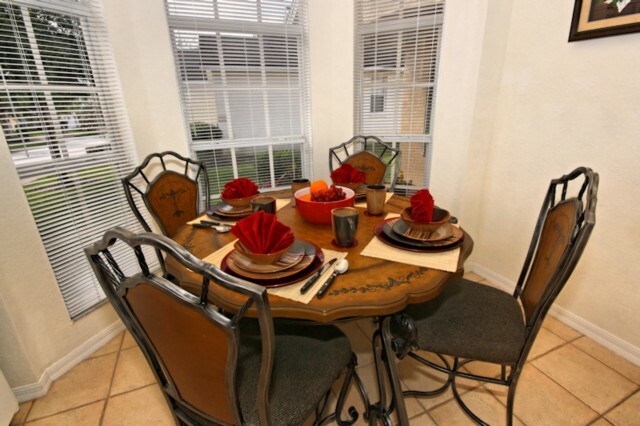 There is a kitchen nook with a table and chairs seating 4, and a more formal dining room with a full size table which comfortably seats 8. 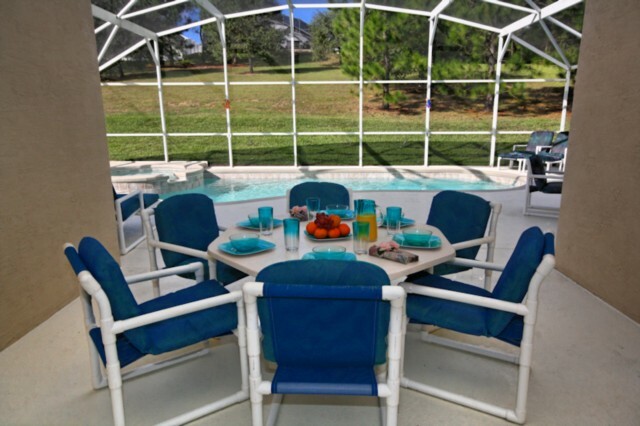 Our pool deck and Lanai is a more than normal large space offering plenty of room for sunbeds with table and chairs seating 4, the Lanai has a large table and chairs for seating 6 to 8 for alfresco dining. The pool is southwest facing, perfect for the sun, with a spa and pool lights; we have plenty of seating on the pool deck which is essential. 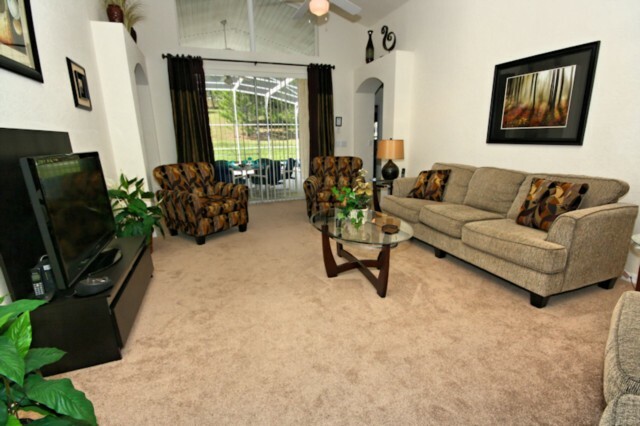 A peaceful, relaxing area to spend time in, with scenic views. All the rooms have ceiling fans even the Lanai. 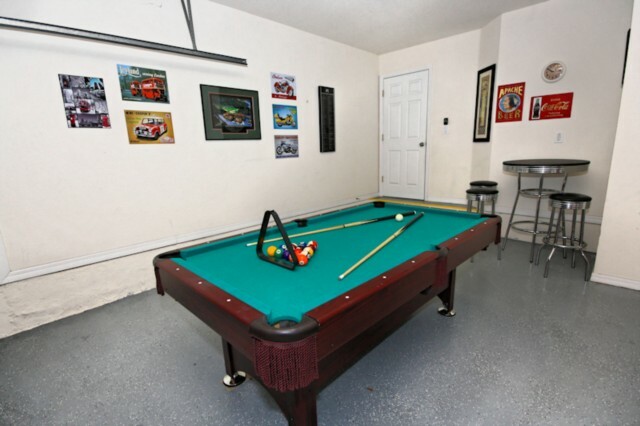 Our games room has a quality good sized pool table, air hockey and a bar table with stools. Our Community clubhouse, Gym, tennis/ Volleyball courts and communal swimming pool is now open; these facilities are only for the exclusive use of guests and owners only. A one off cleaning fee of £70/$110 will be charged per stay. A deposit of £250 / $300.00 or 25% which ever is greater will be needed to secure the booking. A refundable security deposit £250 / $350 will be added to the final balance.
? ?Third time in Abbeyhaven and it was great staying here, with thanks to the owners for all the improvements and their kind words on March 2014. Many thanks to the management Gerhard and Joland everything was clean and in good order and we get good advice on trips etc. The neighboughood is great and the weather was warm and sunny. We loved our stay, also around and in the pool and we regret to go home. Hopefully to stay a 4th time..!?
? 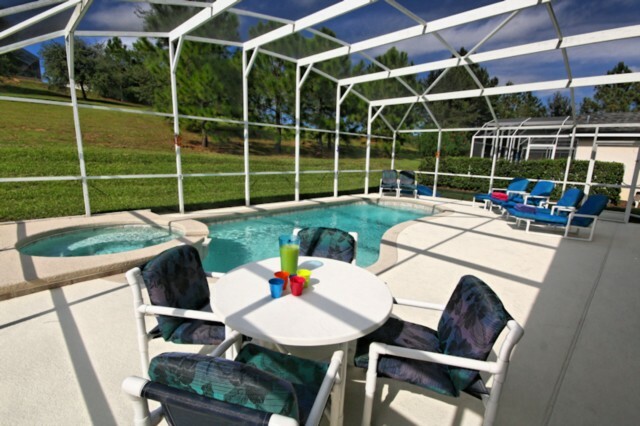 ?Having traveled to Orlando over 7 times this was our first time staying in a Villa and we nailed it first time. 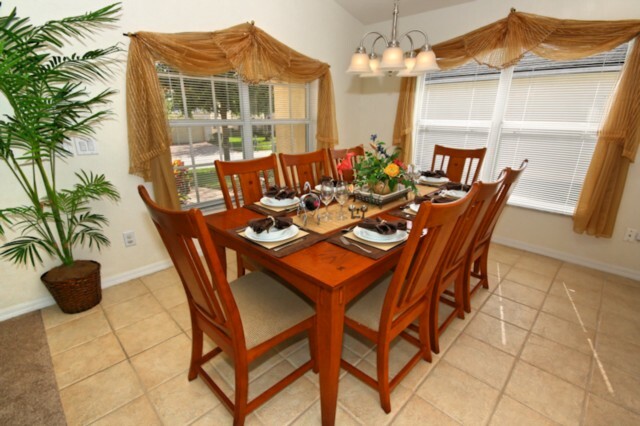 The Abbey Haven Villa is spacious and was more than comfortable for our party of 7 guests. Our boys loved the themed room and made good use of the pool despite us going slightly out of season as it was heated. Location wise it was perfect, not only for our security but just a short drive was a large supermarket and Disney was of course just a short 15/20 minute stress free drive! Your enquiry will be sent to villa ref 3524 only. This page has been viewed 8330 times since 31 May 2012.